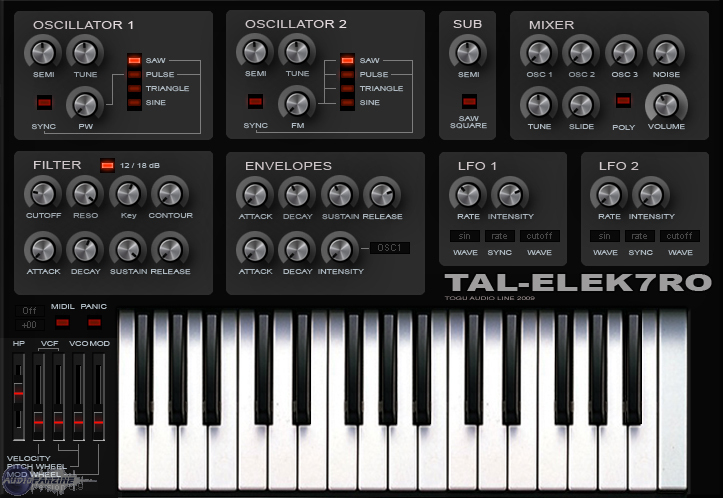 TAL-Elek7ro [Freeware], Virtual subtractive synth from Togu Audio Line. Togu Audio Line has released version 0.9 of TAL-Elek7ro, a new virtual analog synth with some special features like oscillator hard-sync and frequency modulation. Togu says it features alias-free oscillators, newly developed fast envelopes and LFOs with a wide range from 0.1Hz up to 400 Hz. A free routable envelope with attack and decay is available too, they say. 2 oscillators with hard-sync, PW and FM (saw, pulse, triangle, sine). 2 free routable LFOs (0.1Hz - 400Hz, sine, triangle, saw, rectangle, s&h, noise). 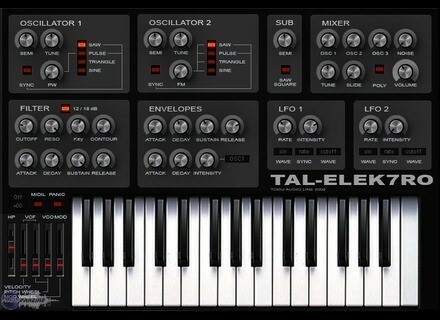 TAL-Elek7ro is free and is available for Windows and Mac OS X in VST and AU instrument plug-in formats. ElectroniSounds Prayer Bowl For those who are into Zen, Electronisounds has released a sample collection of Tibetan prayer bowls. Stylus RMX Updated To v1.8.1d Spectrasonics has updated Stylus RMX to v1.8.1d. MeldaProduction MDynamics Update MeldaProduction has updated MDynamics to v1.05.